Estes Park, a Colorado town with fewer than 7,000 residents, sits along the Big Thompson River. As the headquarters for Rocky Mountain National Park, a 265,000-acre area with 359 miles of hiking trails, 150 lakes, and nearly 100 tall mountain peaks, Estes Park, CO, gets several million visitors each year. The trendy town is well-known for its abundance of restaurants, spas, golf courses, shops, and entertainment venues. 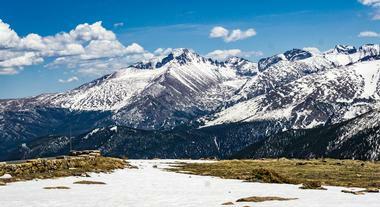 At 415 square miles, Rocky Mountain National Park contains some of the nation's most stunning mountain scenery. Hikers will feel right at home since the park includes more than 300 miles of trails. One of its most well-known areas, Trail Ridge Road, gives visitors a glimpse of the Rocky Mountains from 12,000 feet above sea level. With its spacious campgrounds, Rocky Mountain National Park is a great destination for solo travelers and families alike. Aside from hiking and scenic drives, visitors enjoy wildlife watching, fishing, horseback riding, and learning about Rocky Mountain National Park at the visitor's center. 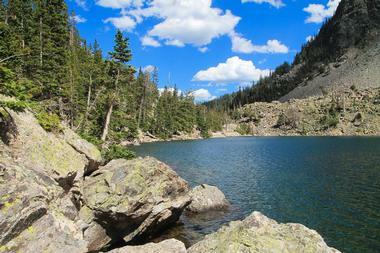 This 55-mile scenic drive treats travelers to spectacular views of the Continental Divide. Accessible from Boulder, Denver, and Fort Collins, the Peak to Peak Scenic Byway is lined with popular tourist attractions. Rocky Mountain National Park, the Arapaho and Roosevelt National Forests, and the Indian Peaks Wilderness Area are just a few of the spots visitors can see during the drive. 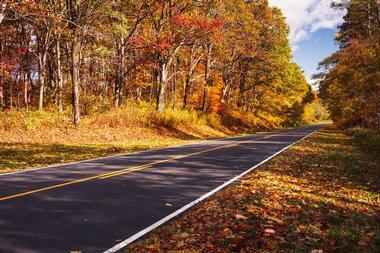 For travelers who have extra time, there are plenty of opportunities along the highway for hiking and camping. There are also isolated lakes and old ghost towns that make for intriguing road trip stops. The Estes Park Aerial Tramway dates back to 1955. Robert Herron, a renowned ski lift designer, pursued the tramway project after studying ski lift and tram design in Europe. The Herron family continues to operate the Estes Park Aerial Tramway, which takes more than 3 million passengers to the top of Prospect Mountain each year. The open air design of the tram allows visitors to take in the amazing views of the Rocky Mountains below. The tram runs from May to September, and tickets vary in price from $8 for kids to $12 for adults. Children under five ride for free. 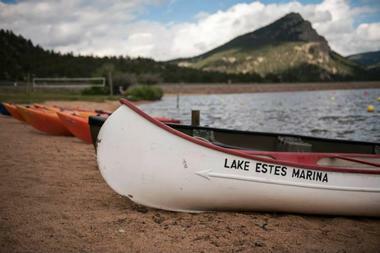 Lake Estes Marina is the place to be for aquatic fun on Lake Estes. The marina offers a variety of boat rentals, including kayaks and canoes and fishing, paddle, and pontoon boats. Fuel and life jackets are included with each boat rental. The marina also has a store that sells fishing licenses, fishing supplies, and snacks. Boat rentals are available from approximately the beginning of May through October. Access to the Estes Lake Trail can be found by the marina. The trail circles the lake and can be accessed on foot or by bicycle. Bicycle rentals are available at the marina. 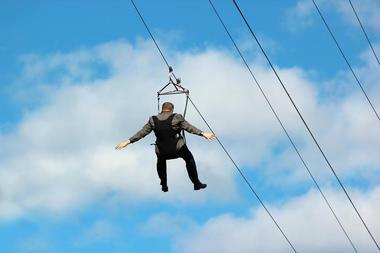 Open Air Adventure Park is a one-of-a-kind outdoor experience in Estes Park. The park offers guests the chance to make their own adventure by participating in up to 32 different challenges in various levels of difficulty from easy to hard. Tightrope walking, crossing rope bridges, swinging above ground, and crossing moving platforms are just some of the obstacles guests will tackle. Safety gear is always used, and staff members are always nearby to assist. At only $35 for 90 minutes, Open Air Adventure Park offers one of the most affordable attractions in Estes Park. The magnificent Stanley Hotel is known world-wide for its outstanding architecture and for its supposed haunting. The hotel was instrumental in developing the tourist industry in Estes Park. Adjacent to the hotel is the Stanley Steamcar Museum. 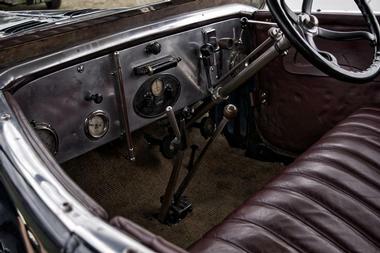 The museum features exhibits of historic Stanley steam cars, including 2-passenger models and an 8-passenger wagon. There are even steam powered fire engines on display and fire engine rides for both children and adults. Guests can view the beautiful hotel grounds and town of Estes Park from aboard one of these historic red fire trucks. Regular hotel tours and ghost tours are also available. At Sombrero Ranch visitors can choose from a variety of specialty horseback riding tours. The ranch currently offers trail rides, breakfast rides, steak dinner rides, sleigh rides, and wagon rides. Pack trips, fishing trips, and hunting trips are also available. 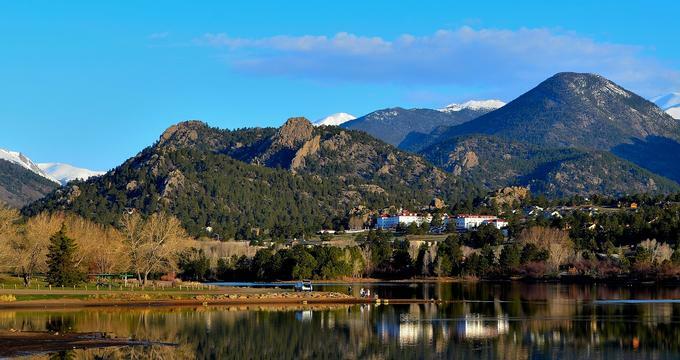 The tours depart from several areas in Colorado, including Estes Park. 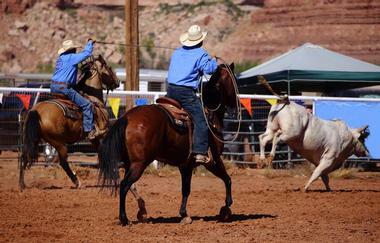 People with riding experience can rent horses from the ranch on a daily or monthly basis, and the ranch even allows renters to take the horses out-of-state for an additional fee. More information about horseback riding tours and horse rentals is available on the Sombrero Ranch website. Estes Park Outfitters is a local outdoor outfitter that offers seasonal adventure tours near Rocky Mountain National Park. The company dedicates summer months to horseback tours, which are either half-day cross-country rides or four-hour homestead rides. They also have a multi-day riding package that includes a delicious meal and an overnight stay in a backcountry cabin. 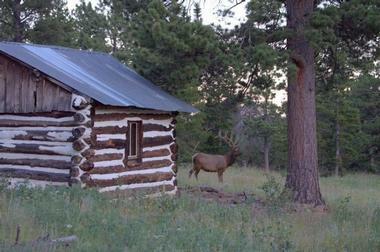 In the fall, the company takes guests on guided hunts for elk and mule deer. Winter tours include snowcat rides, cross-country skiing, backcountry skiing, and snowshoeing in Colorado's beautiful Rocky Mountain region. Jackson Stables, tucked away in the idyllic Rocky Mountains, ispart of the Estes Park Center YMCA and provides visitors with fun and safe horseback riding experiences. The stable offers trail rides that last anywhere from one hour to all day longon their historic piece of property. Jackson Stables also runs pony rides, hay rides, and wagon rides for visitors who aren't interested in hitting the trails. Guests can reserve all trail rides and other activities on the Jackson Stables website or by phone. Reservations are recommended since the tours tend to fill up fast. 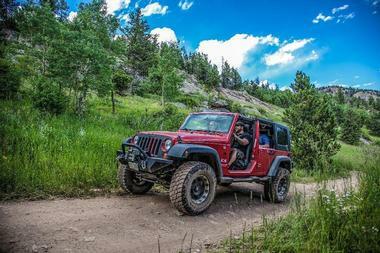 Rocky Mountain Rush is known for its high-adrenaline off-roading tours in the Rocky Mountain National Park area. The company takes visitors through rivers, over hills, and down backcountry trails in custom-built vehicles. 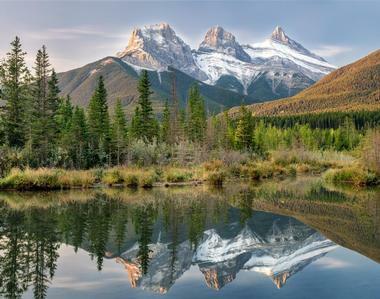 Specialty tours with Rocky Mountain Rush include delicious meals and ample photo opportunities. Winter tours of Rocky Mountain National Park are also available, and the company is equipped to handle large groups for all its adventures. Lastly, Rocky Mountain Rush organizes an exciting treasure hunt that starts at their office and extends into the downtown Estes Park area. The tour is suitable for all ages. 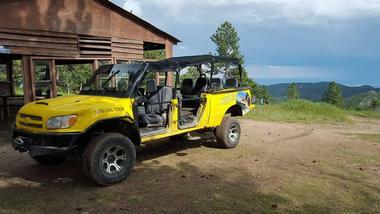 This local outfitter rents out a variety of adventure vehicles for guests who want to explore the Estes Park area in style. Visitors can choose from ATVs, Jeeps, snowmobiles, and Harley Davidson motorcycles. Each rental includes a free map, a helmet, and fuel. For people who don't want to rent a vehicle but still want a unique experience, Backbone Adventures offers a variety of tours. With help from a guide, visitors can explore remote trails and distant mountaintops. More information about rentals and tours as well as pricing details are available on the Backbone Adventures website. Adventure enthusiasts can sign up for half- and full-day rafting trips offered by Rapid Transit Rafting. With more than 30 years of experience on Colorado's best rivers, Rapid Transit Rafting guarantees guests a fun, memorable trip. 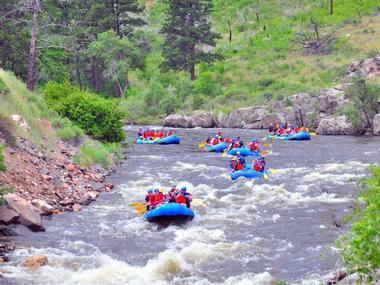 The company offers rafting adventures on the Colorado River as well as on the Cache La Poudre River. Prices and tour availability vary depending on the time of the year and the type of trip. Reservations can be made online or over-the-phone between Memorial and Labor Day. Experience the beauty of the Colorado Wilderness with a private, guided tour from Yellow Wood Guiding. At Yellow Wood, they keep the tours small with no more than four guests allowed at a time, ensuring each guest gets personal attention. They also provide guests with top-quality equipment to make the most of their experience. Tours offered include nature and wildlife tours, where guests will see a variety of native animal and plant life, photography safaris, with an emphasis on taking breathtaking photos of the landscape, or hiking tours of various distances. Tours are available year-round and must be booked in advance. Alex Rocky Mountain Tours provides guests with a relaxing, economical alternative to more expensive and physically demanding tours. Alex has over ten years of experience taking guests on driving tours of the Estes Park area. His tours being with a visit to the city of Estes Park, then move on to Rocky Mountain National Forest for wildlife and scenery viewing. 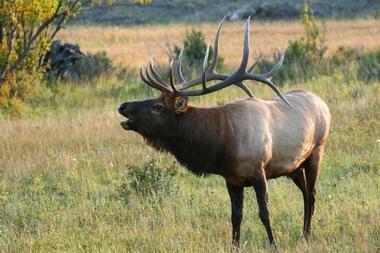 There are also elk tours available during the September rut. Alex and his wife LaDell will tailor the tour to your specific requests to help you get the most out of your trip to the Rocky Mountains. The MacGregor Ranch is an authentic, preserved ranch dating back to the 1870's. Visitors will see first hand how the early settlers to the Colorado area lived and worked. At the MacGregor Ranch, cattle and horses still graze on the property, and ranch hands still work in the hay meadow. The main ranch house is now the MacGregor Museum and is furnished with period-specific antiques and personal belongings of the MacGregor family. The establishment puts on guided tours of the museum during the summer months. Guests can also wander the property and check out the other buildings, including a smokehouse, milk house, and blacksmith shop. Explore the history of Estes Park at the Estes Park Museum. The museum covers the history of the area beginning with the ice age that formed the mountains. Native Americans originally settled the land,then fur-trappers and settlers inspired by the 1862 Homestead Act made their way to Colorado Territory. The museum's exhibits cover both the founding of the town and of nearby Rocky Mountain National Park. Behind the museum are two additional buildings, the National Park Service Headquarters Building and the Cobb-Macdonald cabin, a historic settler's home dating back to 1908. Take an exciting, open-air tour of beautiful Rocky Mountain National Park with New Venture Cycling! Experienced mountain cyclists provide guests with downhill bicycle tours of the breathtaking scenery near Estes Park. 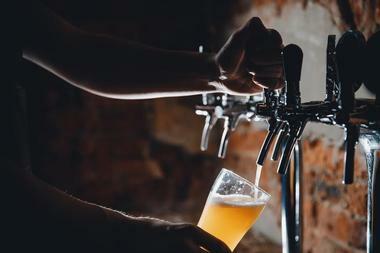 Tours range in difficulty from easy to moderate and in length from three to eight hours. New Venture provides the bicycle, helmet, water, and snacks. Guests are encouraged to bring their own clothing, including a jacket, sunscreen, sunglasses, and their own cameras. Tours must be booked in advance and can be arranged on the company website or by phone. 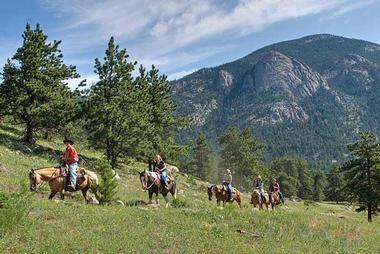 National Park Gateway Stables, known colloquially as SK Horses, offers horseback riding tours in the Rocky Mountain National Park area. 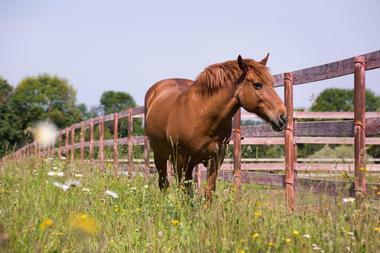 Guests can sign up for horseback riding tours that range in length from one hour to seven hours. The longer rides are designed for people in good health with riding experience and stamina. SK Stables also offers several specialty rides that involve camping and fishing in backcountry areas, and every riding tour includes stunning mountain views and unique terrain. Guests can make tour reservations online or by phone. Learn to navigate the mountains and survive in the wilderness at Colorado Mountain School, whichhas existed in various forms since 1877. 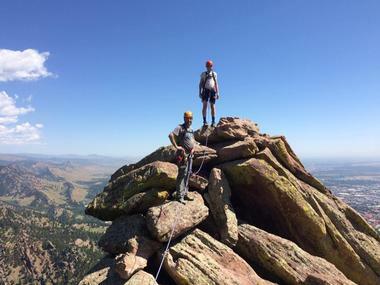 At Colorado Mountain School, professional mountain guides combine expertise and training with unparalleled customer service. Courses offered include mountaineering, ski mountaineering, ice climbing, rock climbing, guide training, and avalanche education. Half-day and full-day courses and expeditions are always available, and custom private guiding can be set up for guests who can't make it on the scheduled course dates. 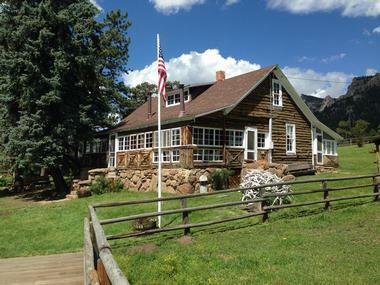 The school, located within easy walking distance of downtown Estes Park, also has a lodge that is available for students to use. 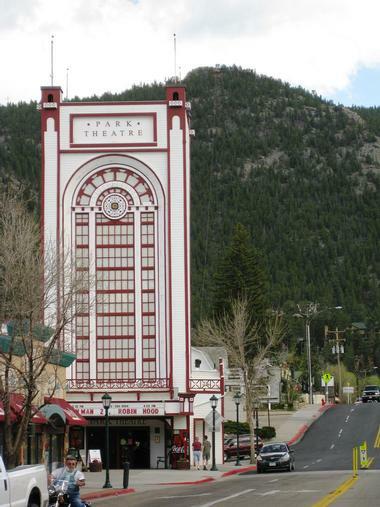 With its neon lights and stunning design, The Park Theater is a historic landmark in Estes Park. The theater was constructed in 1913 and is the oldest motion picture theater in the United States. Though the building is over 100 years old, the theater has been updated with state-of-the-art digital projection and Dolby surround sound. Blockbuster films, documentaries, and independent films are shown regularly. Live theater events are also held at The Park. The building contains a small cafe for snacks and drinks, and the theater can also be rented out for weddings or events. 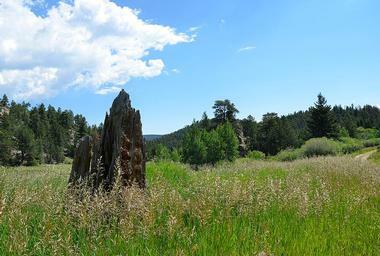 Over 1300 acres of preserved park land make up Hermit Park Open Space in Larimer County, Colorado. The grounds are situated at an elevation of 7800 to nearly 9000 feet above sea level. Camping is available for tents and RV's. There are also options for cabin rentals and a large group campground and reserveable pavilion with picnic benches and a fire pit, while the open areas consist of pine forest and wetlands. 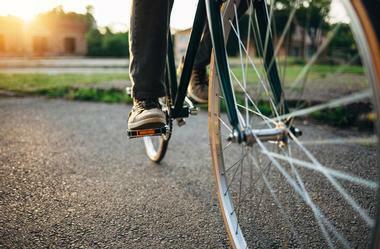 There are trails for hiking, horseback riding, and biking . Hermit Park is open from March through mid-December and requires entrance and camping permits for guests who wish to stay overnight. 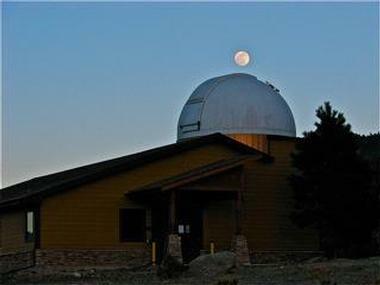 The open skies of Colorado provide some of the best star-gazing in the country, and the Estes Park Memorial Observatory is the perfect place to find breath-taking views of the stars. The observatory is staffed by volunteers and serves as an educational tool for both children and adults. It is open to the public for both group and private viewing events. The staff also works with local K-12 schools and offers lectures for the public on such topics as astronomy, cosmology, and astrophotography. Admission to the observatory is free with a donation suggested. The Enos Mills Cabin was once the home of Enos Mills, often called the “Father of Rocky Mountain National Park.” Mills was an adventurer, author, photographer, and mountain guide who was passionate about preserving land from development. He petitioned Congress to preserve acreage in the form of national parks and recreational areas. His homestead and cabin, built in the 1880's, now make up a small museum dedicated to his life and to the lifestyle of the Colorado settlers. 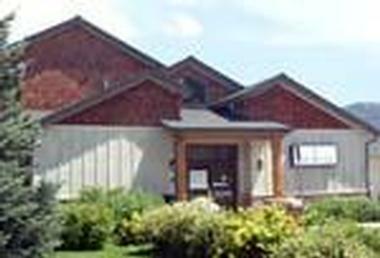 The museum is on the National Register of Historic Places and is supported by donations and sales from the small gift shop on the property.